Storm Shelter install from Crest Precast. 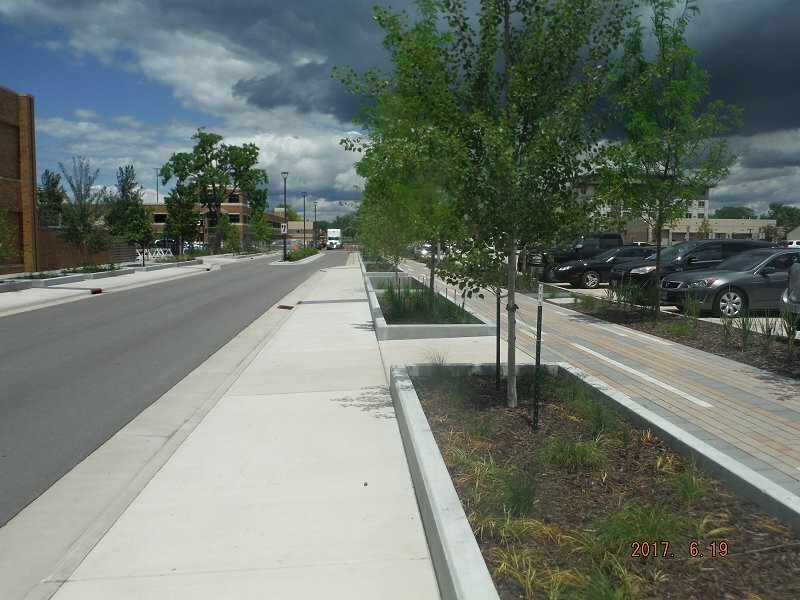 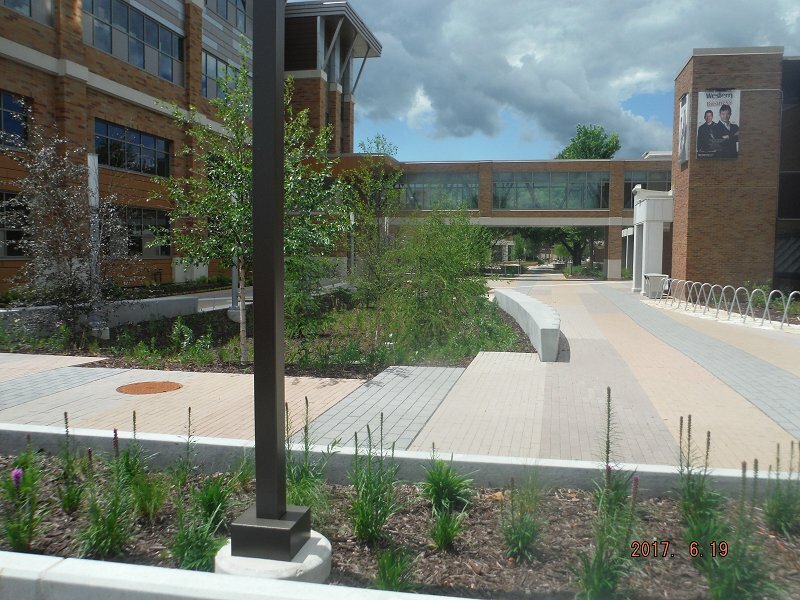 Storm water planters installed at WTC in La Crosse, WI. 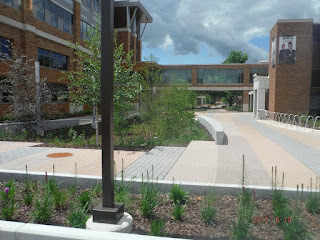 These are storm water planters installed at Western Technical College in La Crosse, WI. 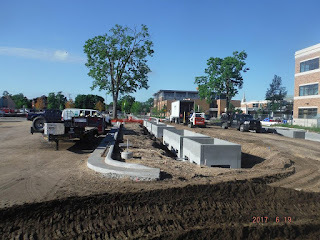 Crest Precast contracted phase one for 22 planters and 6 curved precast benches with Skate Stoppers ™. in 2016 and 24 planters in 2017. 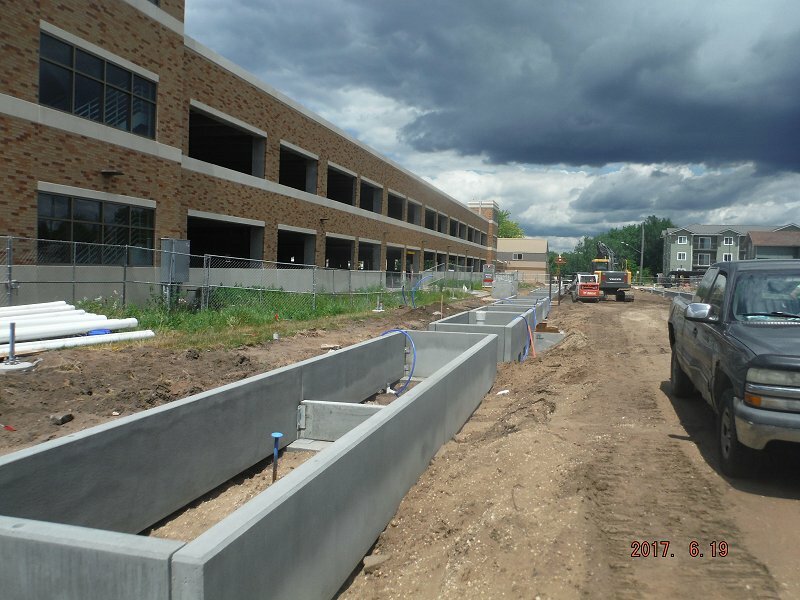 These planters take 100 percent of parking lot rain water and return water to the soil. The open bottom precast walls allow infiltration to the soil. 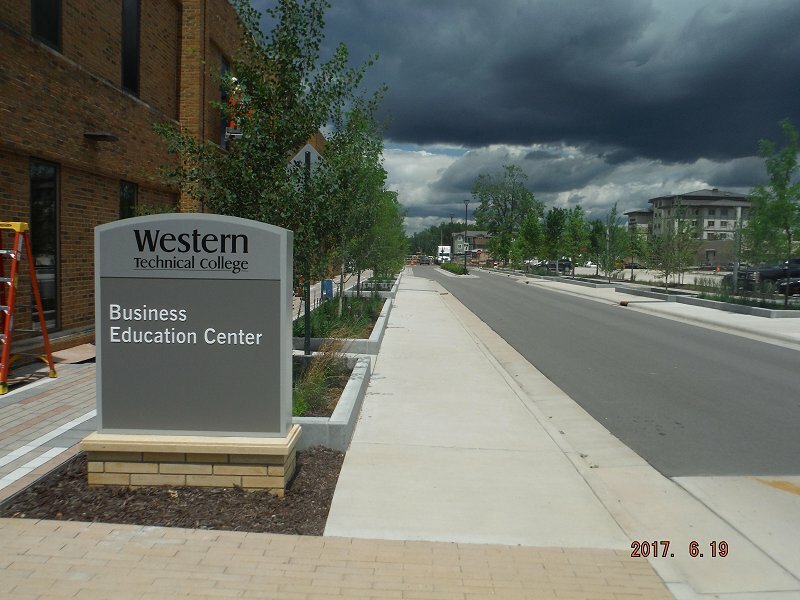 These units have a sandblasted architectural finish. 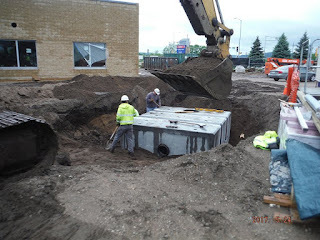 Kudos to WTC for installing a state of the art water recycling system in their new concrete parking lots! 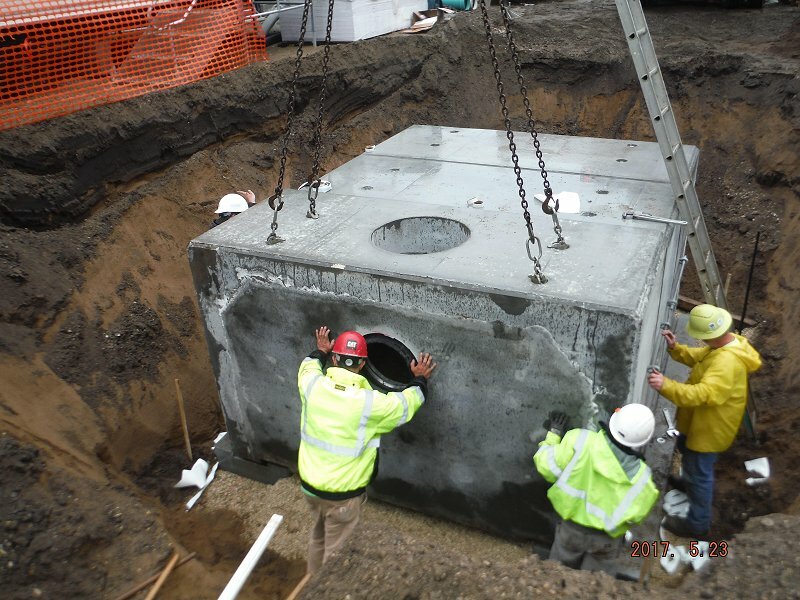 Storm Water Chamber installed at the new Gundersen Hotel in LaCrosse. 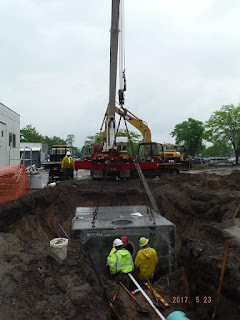 This container is open bottom 3 sided box to recharge the ground water and traffic bearing precast sections.